I love to watch a gull walk. With each step, the raised foot folds up like a busted umbrella and hangs down rag limp for a moment. Also it gets me the way the yellow of the ring-billed gull's foot matches the beak. And then the eye bounces one more yellow spot at me. 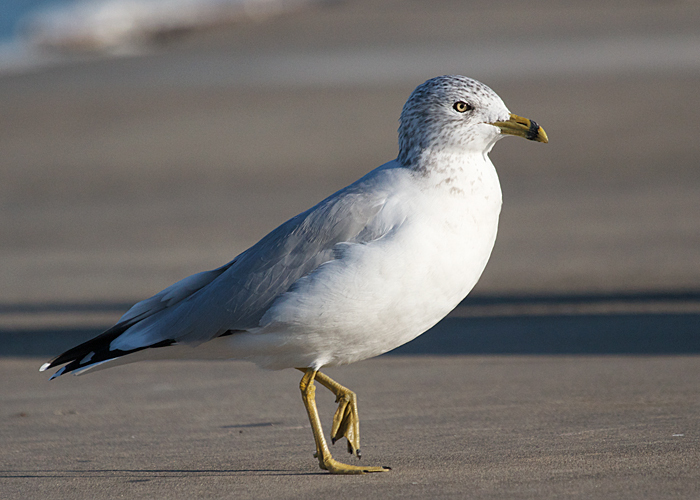 This ring-billed gull trod the pavement on the pier at Lakeside, Ohio this morning, along with birders enjoying the Midwest Birding Symposium. Which, by the way, was way fun.